A Comprehensive Unified Spartina Control Program is being developed through WSU Long Beach. Over the past four years WSU documented a major return of shorebirds to Spartina affected tidelands once Spartina was controlled. A number of aquatic weeds threaten river systems and lakes in Pacific County as well as freshwater wetland sites. Rapid growth of these invasive weeds can cause dramatic changes in both the physical and biological characteristics of freshwater habitats. 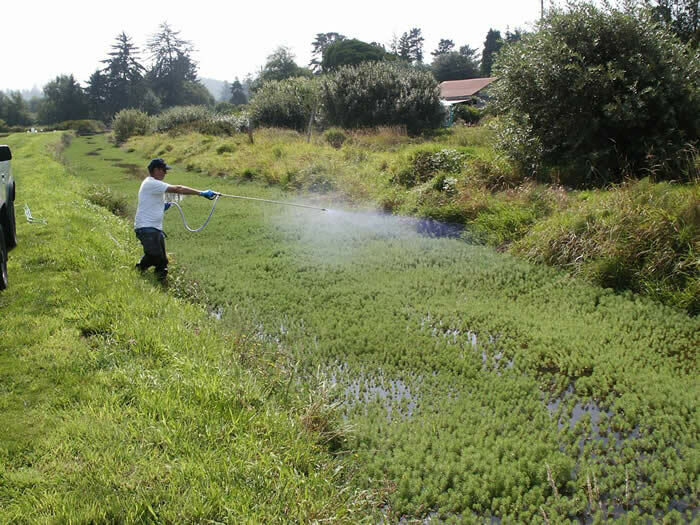 New controls are being developed for these aquatic and ripariam weeds in Pacific County, including Parrotfeather and Eurasian Water Milfoil, Brazilian Elodea and knotweed. These controls will be ready for widespread implementation over the next several years. Ghost and mud shrimp are overtaking prime oyster grounds in Willapa Bay creating an ecological and economic disaster. WSU Long Beach is studying the efficacy of alternative control methods for these pests, seeing more specific and environmentally benign methods. Carbaryl, the traditional pesticide being used, has created public relations and marketing problems for the industry, and will not be available for use in the future.